Hey everyone! 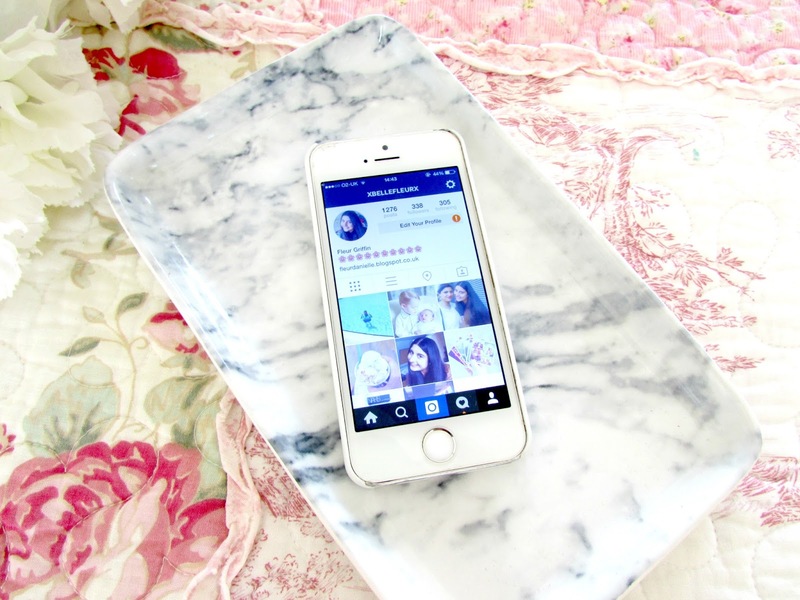 So today I thought that I would talk to you all about my favourite instagram accounts. I think I did one of these either at the end of last year or the beginning of this year, I can't quite remember however instagram has been an app I have sort of neglected since that post was done. I don't know why because I have certainly been taking lots of photos. I just haven't really been going onto instagram that much. That has changed over the past few days though, I've been posting photos like nobody's business so I thought today why not do a post consisting of five of my current favourite instagram accounts. Enjoy. I couldn't do this post without including the lovely Em from Emtalks. Everything about this girl from her figure, to her blog posts to her photos are just to die for. Em has recently been spending a lot of time travelling around the world and I have loved keeping up to date with all her adventures on not only her blog but also her instagram. She also has the most amazing figure and fashion sense, both of which are always documented on her instagram account. I am a little envious I will admit but if you're not following Em I'd highly recommend it. I started following Olivia's instagram a couple of months ago. I've been a long time lover of her blog 'What Olivia Did' so I don't know how I wasn't following her instagram sooner but I absolutely love it. It's so bright and colourful. Olivia also has the cutest fashion sense as well very much like my own with pretty little dresses and collars and I absolutely love seeing how she styles them up on her instagram and blog. She's such a beaut and such a nice person too! Pretty sure I mention Kayleigh in every favourites post I do. I'm actually starting to worry that I come across as a bit of stalker. Sorry Kayleigh! But in all seriousness her instagram is definitely one of my favourites. Her photos are so bright and white and clear. I absolutely love her fashion sense as well and she's posted a lot of outfit photos on her instagram recently as well which I love. My bank account doesn't love it however. Kayleigh has also been travelling a bit recently, she's recently been on a holiday to Mykonos in Greece which looked absolutely heavenly and is now on a mini bloggers trip to Mallorca so I'm loving keep up to date with all her photos and outfit posts. Definitely a gal you should all be following. I came across the gorgeous Samantha through twitter as I saw she was the make up artist for Collabro, Lucy Kay and their support act Philippa Hanna on their tour at the beginning of this year. I absolutely adored the make up looks she created on both the girls. I then decided to follow her instagram account to see the different looks she creates on other people and absolutely fell in love with the looks she posted. They look virtually flawless and I honestly wish I could hire her to do make up on me! As well as being an amazing make up artist she is an incredible artist in general too. You can see some of the things she's worked on if you head on over to her instagram. Sam is also another lady who tends to be very motivational for me when it comes to fitness. Definitely worth checking out. Carly is one of the few health and fitness bloggers I actually follow on instagram. I absolutely love her account as not only does she give me serious body envy but she also posts photos with really motivating captions that want to get up and move. If you read my last post about wanting to become a lot more healthier and fitter then I'm sure you'll agree this account is just perfect for me. So there we have it. Five instagram accounts I would highly recommend checking out. I am always following and checking out different instagram accounts so I will definitely make this post a monthly thing as I know a lot of people like reading stuff like this and coming across new people. Like I said at the beginning I have been getting into instagram a lot more lately so if you want to check out the things I post and love and what I get up to on a daily basis then head on over to xbellefleurx where you will be able to see all my weird and wonderful photos! If you have instagram then make sure to leave you links in the comments section below where I will check them out.